During our week in D.C. we discovered that Sunny had a cavity that needed attention, but we couldn’t find a dentist able to see her during the short timeframe we would be in the city, especially since it was spring break. So we called ahead to some dentists in Pennsylvania, found one that could get her in the following week, and planned our route accordingly. 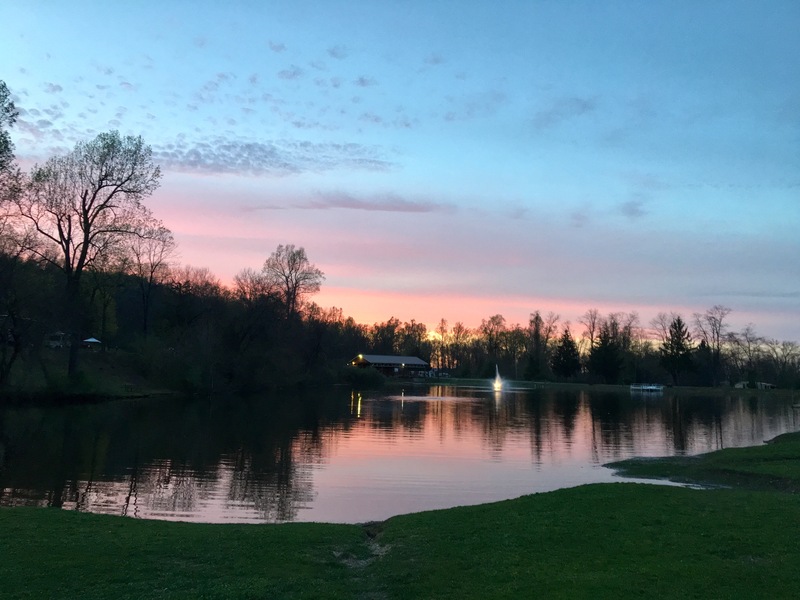 The appointment was in Harrisburg, so we camped in a small town nearby called Lebanon. 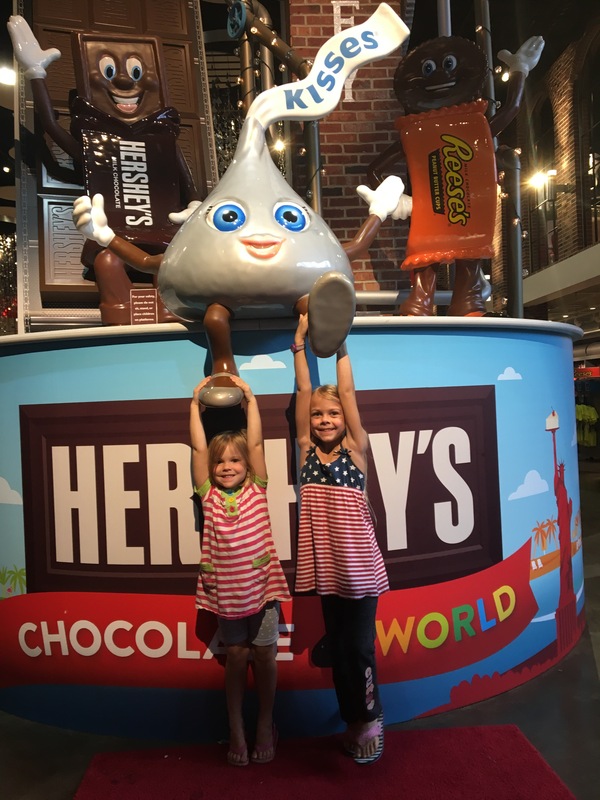 What I didn’t realize when we booked it was that we actually had to drive right through Hershey, Pennsylvania – Chocolate Town, USA – to get to the dentist. I love the irony of this situation. We weren’t able to get Sunny into a pediatric dentist on such short notice, but this general practice place took such great care of her! 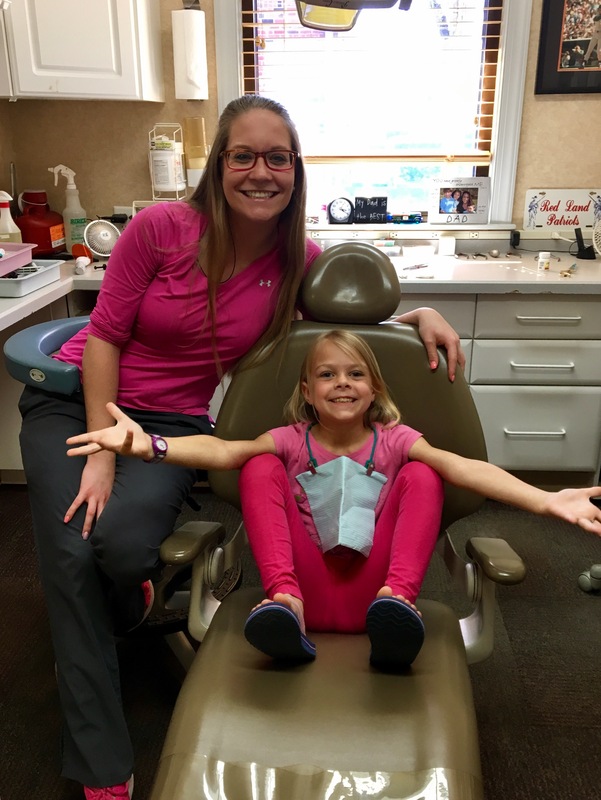 Sunny immediately bonded with her awesome dental assistant because of their shared love for the color pink. We camped at a large 1000 Trails campground which was a first for us. 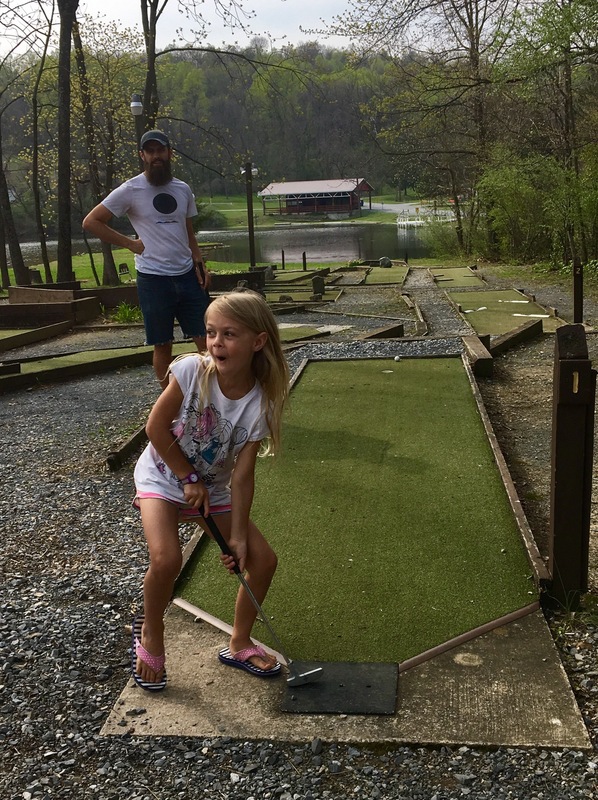 It was still too early for peak season, so it wasn’t fully operational – the game room and cabana and country store and pool were all still closed. 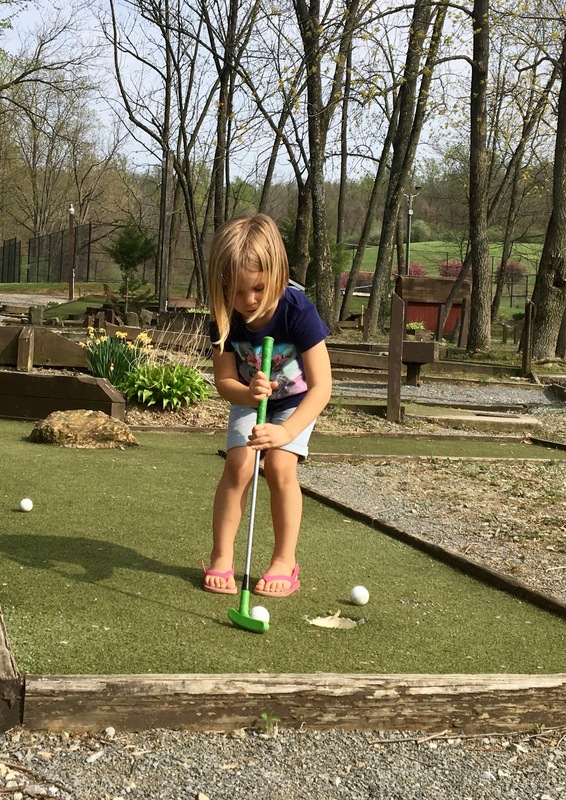 But we did enjoy the large playground, the mini golf, the puzzle/book room, and the lovely pond. The girls watched (very carefully, for their own safety) a mother goose sitting on eggs next to the playground all week. During a game of putt putt, a killdeer tried to use her skills of pretending to be wounded to lure us away from her nest full of eggs at hole #8. 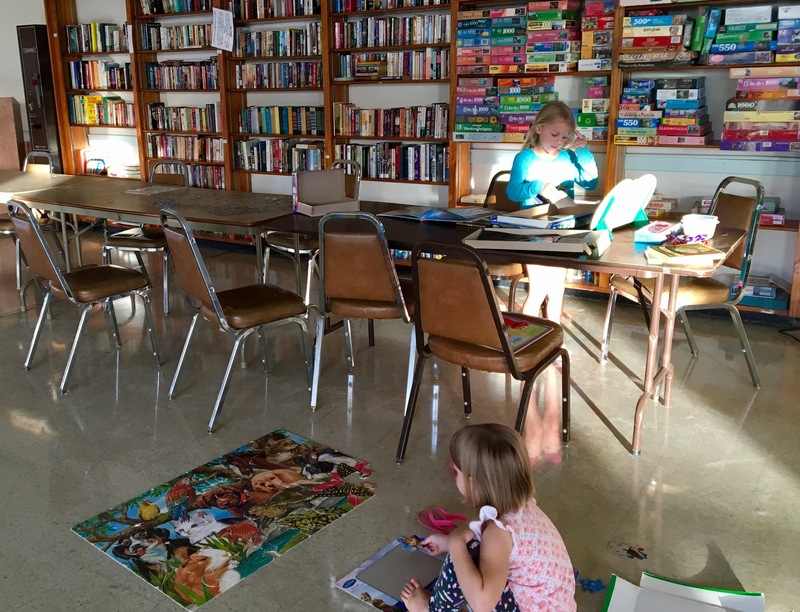 This is how we rock a puzzle/book room. 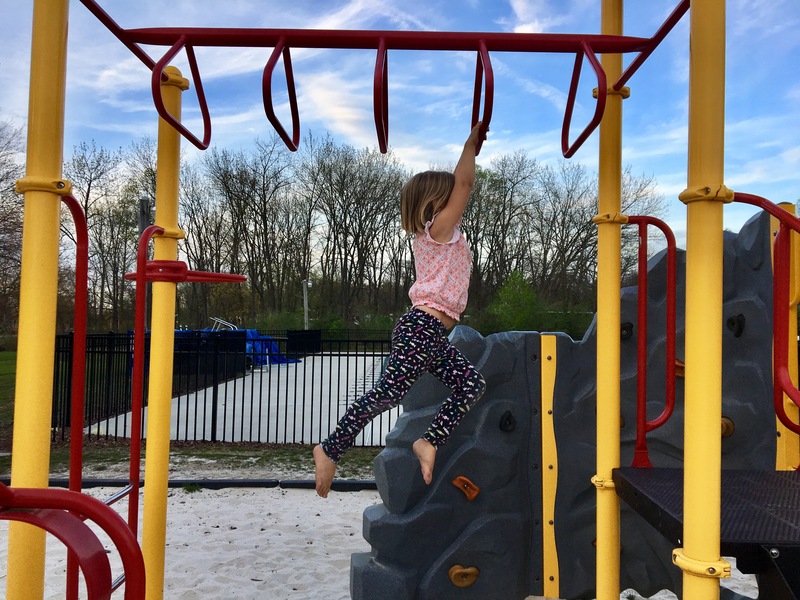 Coral conquered the monkey bars for the first time here! A very northeastern-looking tiny covered bridge was part of our walk from trailer to playground. It was a beautiful, comfortable place to camp for a few nights, and from there we were easily able to get Sunny’s dental work completed, and then go buy giant chocolate bars the very next day. 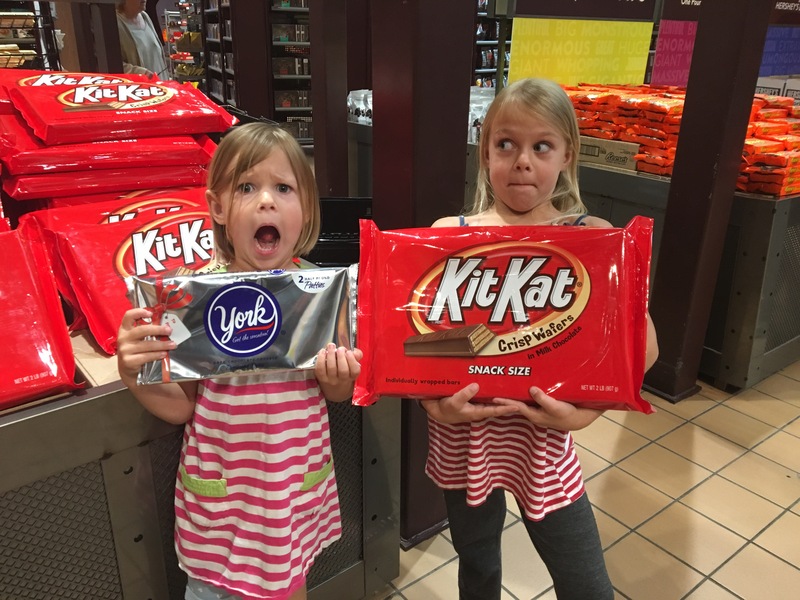 We had been told by several people about Hershey that “the whole town smells like chocolate”, so every time we drove through the small town we kept rolling our windows down in anticipation. 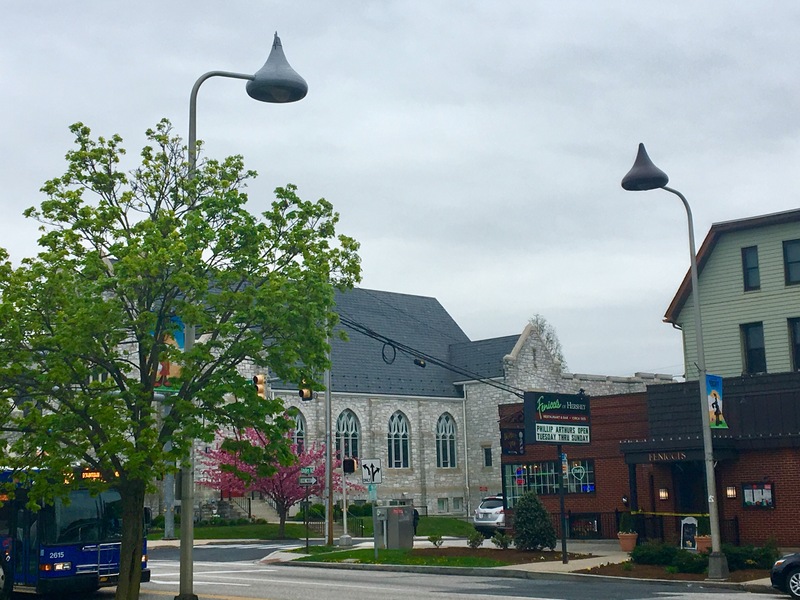 In Hershey, PA even the streetlights are made of chocolate! “Do you smell it yet? !” one of the girls would ask in eagerness. “Ew!!! What is that smell? !” the other would yell back across the sound of wind whipping in the truck windows. Apparently in springtime the whole town smells like fertilizer. I think the fertilizer plays a very important role in the chocolate making processes that begin on the local farms, but it wasn’t exactly the experience we were dreaming of! It was however, memorable, and probably one of the reasons why the crowds don’t arrive in this tourist town until late May. 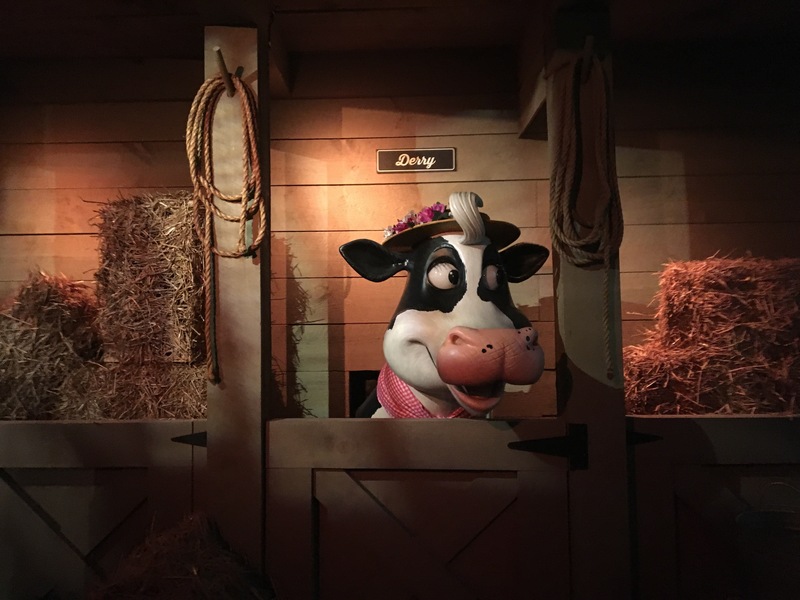 So I’m happy to deal with chilly weather and the smell of manure when it means that we don’t have to wait in line for the Chocolate Factory Tour Ride. The Hershey Factory Tour didn’t actually take us anywhere near the factory. 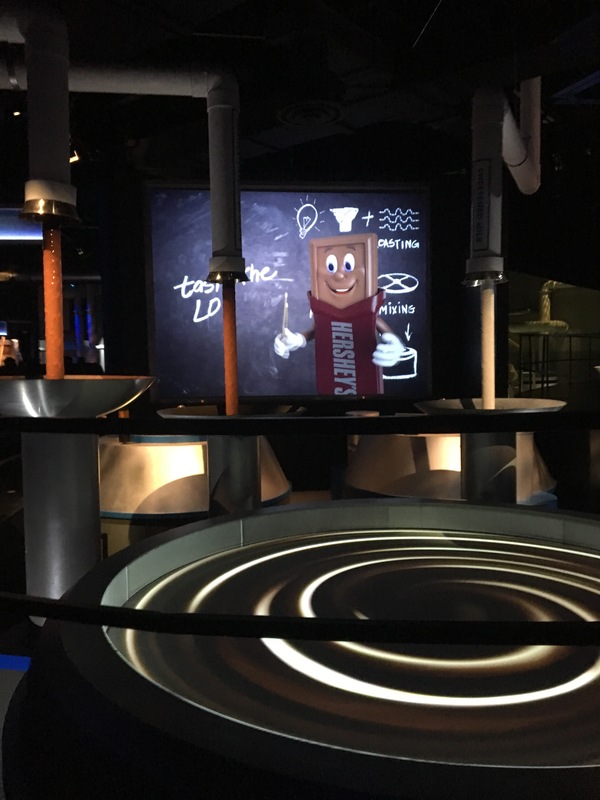 It was an amusement park ride through tunnels where we learned about chocolate-making magic from animatronic characters, large media screens, and factory floor replicas. 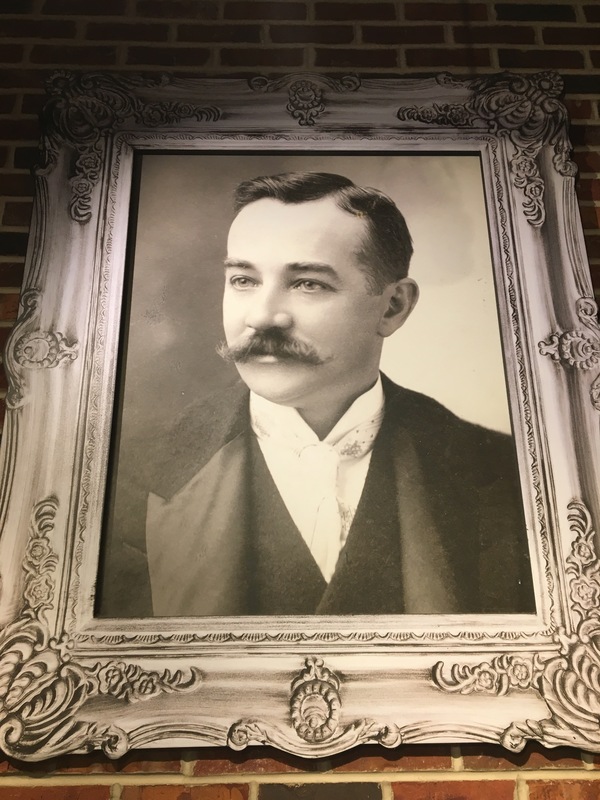 Milton Hershey…the man who started it all. Do you think he grew this facial hair ironically? Is it fair to call it a Hershey Bar Mustache? Ba-Dum, Ching! The countryside of Pennsylvania was just starting to burst into spring. As we have driven north for the past weeks the season is chasing us up the countryside. The cherries were just opening into full bloom when we were in Virginia, and then D.C., and now Pennsylvania. 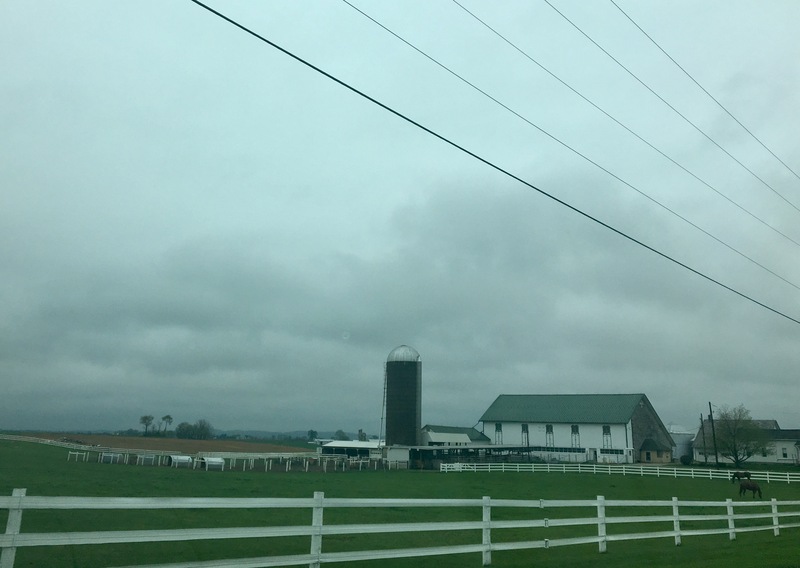 The rolling green landscape around our campground offered sweeping views of Dutch style houses and barns and silos, made of white wood or stone. The scenery seemed like an illustration from a children’s book. The story of our stay here just wouldn’t be complete if I didn’t say that this is where we dealt with the blow of losing our beloved family dog, Mocha. Hershey may have been dubbed “The Sweetest Place on Earth” as every welcome sign reminds, but for me the memories of it will always be bittersweet. Our wonderful friend that has taken such loving care of Mocha for the past 8 months handled this difficult situation as gracefully as anyone could have asked for. The girls and I were even able to call Mocha on FaceTime to say goodbye, sitting by the lovely pond and the little covered bridge. 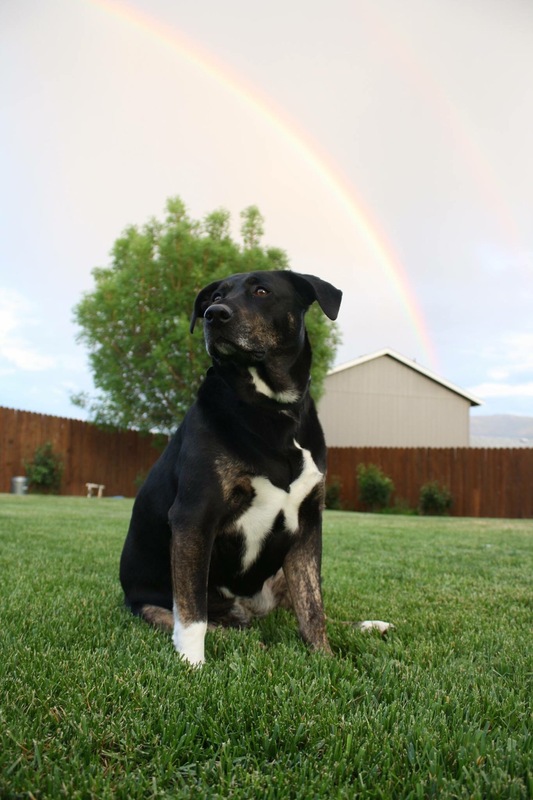 I wasn’t at home to bury our cherished pet in Wenatchee, so she will always to some degree be buried in my heart in Hershey, Pennsylvania. Her name meant chocolate, so maybe that’s fitting. And maybe I’ll never eat a Hershey bar without thinking of her again, which is maybe also a great thing. Love you, sweet friend! Will you keep blogging forever, please? I love how much I know about your life over the past several months, and I don’t want it to stop! I second what Alicia just said! Sending lots of love your way and a cavity free journey from here on out! i third it! you are a beautiful writer.